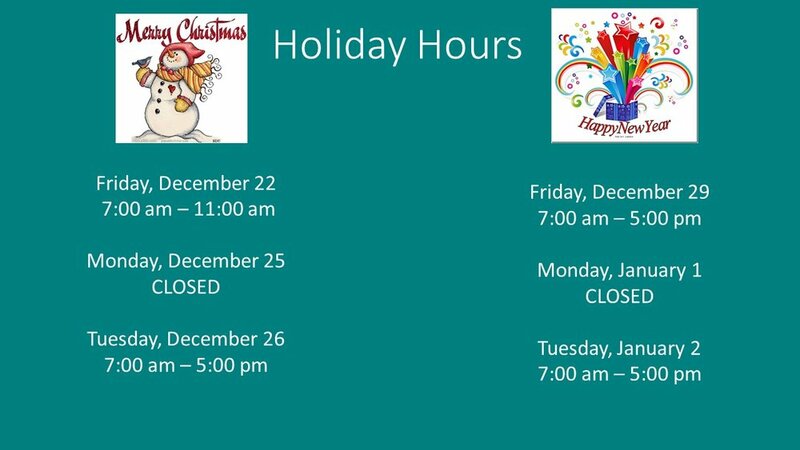 Plateau Pediatrics announces their 2018 holiday hours. For urgent or emergent needs outside of office hours, you can reach an on-call provider by calling our office at (931) 707-8700 and following the prompts. New Office Hours Effective August 20, 2018! You spoke and we listened! As a result of our 2018 Patient Satisfaction Survey, and to better serve our families, we will be offering extended office hours on Monday's and Thursday's starting August 20, 2018. Our newest provider, Dr. Lauren Fox-Bergvin, will also begin seeing patients on August 20. We are very excited about our growth! Call today for more information or to schedule an appointment. Plateau Pediatrics conducted another patient satisfaction survey for two weeks in April and May of 2018. Unlike previous surveys, we offered the survey electronically via our tablets as well as a QR code that parents could use on their mobile phones. A double sided, printed survey was also offered for those that did not desire to do the survey electronically. During the survey period, 312 surveys were given; however, only 288 were completed. We were very pleased with the feedback and appreciate all of those who participated. We would like to share our 2018 Plateau Pediatrics Patient Satisfaction Survey results with you. To view the survey in PDF format, please click here. There's lots to do this summer in and around Cumberland County. We've compiled a list of activities to help you plan your Summer Staycation. Check out our 2018 Summer Calendar of Events of free or low cost outings. Even Big Kids Need Well Exams! Children of all ages need well exams for many reasons. Dr. Suzanne Berman explains some of them in her article Does my child really need a physical every year? She's very healthy! Call Plateau Pediatrics today to schedule your child's well exam. We can complete TSSAA forms, camp forms, or other forms during the appointment. Summer well exam slots are filling up fast so don't wait, call us today! Plateau Pediatrics Welcomes Dr. Lauren Fox Bergvin! Plateau Pediatrics is pleased to welcome Dr. Lauren Fox-Bergvin to our team of outstanding providers. Dr. Fox-Bergvin will be joining our practice in July 2018! Dr. Lauren is thrilled to know that she will be practicing pediatrics in her hometown of Crossville, Tennessee. Here are a few interesting and important things to know about her. Dr. Lauren graduated from Cumberland County High School. She then attended The University of Tennessee-Knoxville. She graduated with a B.A. in Audiology with a Minor in Psychology. She was a member of Student Government, Mortar Board, The Speech-Language Pathology and Audiology Professional Society, and Delta Delta Delta Sorority. She was a Sports Medicine Intern for the UT Athletic Department working with Men’s Football and Basketball, and became a UT Letterman. Dr. Fox-Bergvin obtained her Doctorate of Osteopathic Medicine degree from Lincoln Memorial University-DeBusk College of Osteopathic Medicine. While in medical school, she received the award for Outstanding Female Medical Student. She was inducted into Sigma Sigma Phi, the National Osteopathic Philanthropy and Academic Honor Society. She completed her Pediatric Residency at The University of Tennessee at Chattanooga / Children’s Hospital of Erlanger. She received The Cathy Stevens Outstanding Resident Award and The Harold Alpers Humanitarism Award, recognizing humanitarian characteristics throughout all residency programs at the University of Tennessee at Chattanooga. Dr. Fox-Bergvin will be on the hospital staff of Cumberland Medical Center. Stay tuned for more information about Dr. Lauren. We are so excited to anticipate her arrival at Plateau Pediatrics! 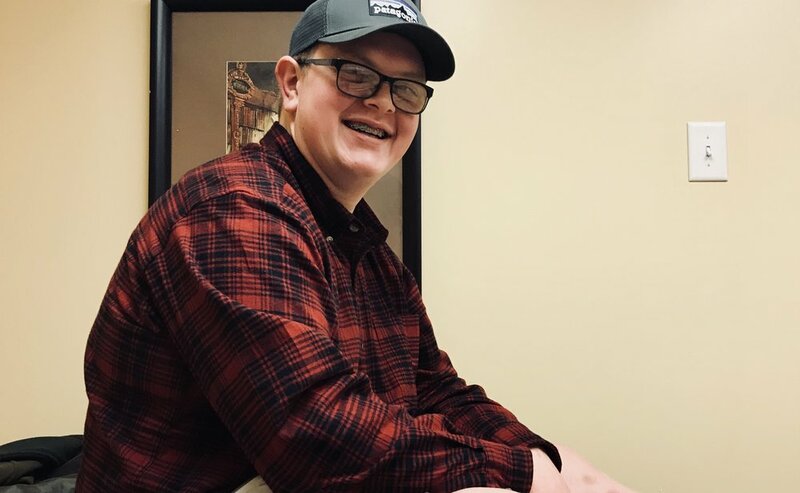 If you would like to learn more about Plateau Pediatrics, please visit our website at www.plateaupediatrics.com or call us anytime at (931) 707-8700. Plateau Pediatrics has announced their holiday hours. An on-call provider will be available after hours by calling our main line at 931-707-8700 and following the prompts. This fall, we are offering flu shots, but not the nasal “FluMist” product. The Centers for Disease Control (CDC) and the American Academy of Pediatrics (AAP) have recommended that the nasal vaccine not be given this year due to concerns related to ineffectiveness. While we know that many of our patients prefer the nasal vaccine as opposed to “getting stuck,” Plateau Pediatrics is committed to following vaccine recommendations and only offering safe and effective vaccines. The flu vaccine is still recommended and we have doses in stock for patients ages 6 months and up. Your child can get a flu shot as part of a regular office visit or at our upcoming Saturday Flu Vaccine Clinic on Saturday, September 16, 2017. Please call us (931) 707-8700 to schedule your child’s appointment. We have posted a list of frequently asked questions about flu vaccines, including who should get the vaccines, how many doses children need, and how far apart doses need to be. Please note that most insurances, including the various TennCare plans, do cover the cost of the administration of flu vaccines. The Stephens Center has announced their free, fall parent-child classes. Parents completing all eight sessions in a series will be awarded with a Certificate of Completion. Classes are offered in Cumberland, Overland, and Putnam Counties but everyone is invited to attend, no matter their county of residence. More information may be obtained by calling The Stephens Center at 931-823-6432 or toll free at 800-635-5199. Also check out their website at www.StephensCenter.org or follow them on Facebook at www.Facebook.com/Stephens.Center. For a list of classes click here. With school out for the summer, houses will start ringing with the familiar "Mom, I'm bored." Start planning for your Staycation now with these area Vacation Bible Schools and Summer Activities. With many free or low cost options, there's sure to be something for everyone. As most parents know, sports physicals are required by the school system for participation in most sports-related activities. While many schools and walk-in clinics offer special sports physicals, these do not take the place of your child’s annual well exam, which should be performed by your Primary Care Provider. An annual well exam ensures that your child is healthy and developing mentally and physically, as they should. You can learn more about the reasons your child needs an annual well exam here. As a Certified Patient-Centered Medical Home, we encourage our patients to come to us for their physicals to ensure a complete, detailed exam including the specialized history and musculoskeletal exam required for a sports physical. If your child has had a well exam in our office within the past 12 months, we can most often complete the TSSAA form without a separate appointment being required. These forms can generally be completed and ready for pick-up in approximately 24 to 48 hours after the parent portion has been completed. If your child has not had a recent physical, we will be delighted to schedule him or her for a well exam. The TSSAA form can be completed during this visit. TSSAA forms can be downloaded here, or they can additionally be picked up in our office. New for 2017: Families utilizing our Patient Portal can request by phone or portal message for the parent portion questionnaire to be uploaded to the portal, once it completed and submitted we will fill out the remaining portions based on your answers and upload the completed form to the portal for easy access and printingPlease note, patients must be up-to-date on their well exams before we can complete any portion of the TSSAA form. 2017 Spring Survey Results are In! Plateau Pediatrics conducted another patient satisfaction survey for two weeks in April 2017. Similar to previous surveys, this was a one page, double sided, written survey that patients were asked to complete. We received 393 completed surveys during this time. We were very pleased with the feedback and appreciate all of those who participated. We would like to share our 2017 Plateau Pediatrics Patient Satisfaction Survey with you. To view the survey in PDF format, please click here. Dr. Suzanne Berman, along with other colleagues in the medical world, was a participant in the American Academy of Pediatrics advocacy leading to a change in coding for vaccine administration. The advocacy led to increasing the number of MUE's (medically unlikely edits) allowed daily by CMS (Centers for Medicare and Medicaid Services) and several private payers. More information can be found in the below article. Are your child's teeth protected? Fluoride varnish is used to help protect teeth from cavities. The varnish is painted on. It is sticky so it stays on the teeth longer than other ways fluoride is provided. It makes the outside of the teeth harder and helps prevent decay. How is Fluoride Varnish applied? A small piece of gauze is used to clean and dry the teeth. The varnish is painted onto the front and back, top and bottom of the teeth with a tiny brush. It forms a sticky covering over the tooth and becomes hard as soon as saliva in the mouth touches it. It takes less than 2 minutes to varnish the teeth. Varnish should be applied every 6 months. If your child already sees a dentist, they may not need fluoride varnish. However, because finding a dentist for your young child may be difficult, we are pleased to offer this service as a convenience to you. Fluoride Varnish can be applied Monday-Friday in our office. Please contact us with questions, or to schedule your child’s appointment. This fall, we’ll be offering flu shots, but not the nasal “FluMist” product. The Centers for Disease Control (CDC) http://www.cdc.gov/media/releases/2016/s0622-laiv-flu.html and American Academy of Pediatrics (AAP) have recommended that the nasal vaccine not be given this year due to concerns about poor effectiveness. While we know that many of our patients prefer the nasal vaccine as opposed to “getting stuck,” Plateau Pediatrics is committed to following vaccine recommendations and only offering safe and effective vaccines. The flu shot is still recommended, and we will have it in stock for all our patients ages 6 months and up. Watch our website and Facebook page for further announcements. Reaching an on-call provider or nurse after hours is easy! Call our main line at 931-707-8700 and wait for the call to be transferred to our answering service. Select the option that meets your needs! Option 1 - leave a message for the on-call provider (you will need to press 1 again within this option to reach the message box for the provider). Select this option if you have an urgent need. Wait for your call to be returned by our on-call provider or registered nurse, please be patient as sometimes our provider receives several messages at one time. Keep phone lines open and disable any call blocking or Do Not Disturb options on your phone. Call from a land line if at all possible as cell phone reception may not be reliable. Option 3 - leave a message for the office, these messages are answered on the next business day. If you need to cancel an appointment, request a refill, or have a non-urgent question select this prompt. These forms can generally be completed and ready for pick-up in approximately 24 to 48 hours after the parent portion has been completed. If your child has not had a recent physical, we will be delighted to schedule him or her for a well exam. The TSSAA form can be completed during this visit. TSSAA forms can be downloaded here, or they can additionally be picked up in our office. Planning a Stay-cation? Looking for some fun stuff to keep the kiddos busy? We've compiled lists of some fun stuff to do in the Cumberland County area and local Vacation Bible Schools. Check them out below! Don't forget to join us at the Playhouse on June 17th for the opening night of The Little Mermaid, sponsored by Plateau Pediatrics!